I suppose you all probably know how much I love the work of Esther Chandler at Make My Day Creative. It comes as no surprise that I feature her work fairly often here on Make It Crochet. Today’s featured design is another perfect example of why I love Esther’s work so much. Just look at this elegant and refined project. The colors, the design, the construction. I love every aspect of it. I probably wouldn’t be able to enjoy working on this project if I was a beginner crocheter, but I would definitely keep it on a list to try later. The stitches aren’t tremendously difficult, but they aren’t considered beginner level. There is a chevron going on, which is increasing and decreasing. There are also post stitches included. I’m going to say that this project will be a level of early intermediate so be sure to give yourself some experience before trying this one. 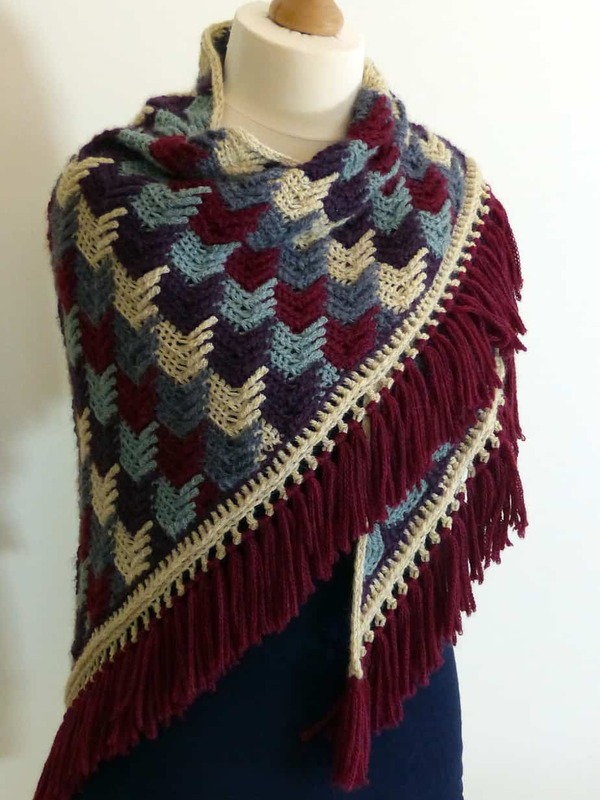 Experienced crocheters are going to be able to jump right in with both hand and hook, so choose your colors to go forth and conquer this beauty! Pick up your free crochet pattern from Make My Day Creative HERE.